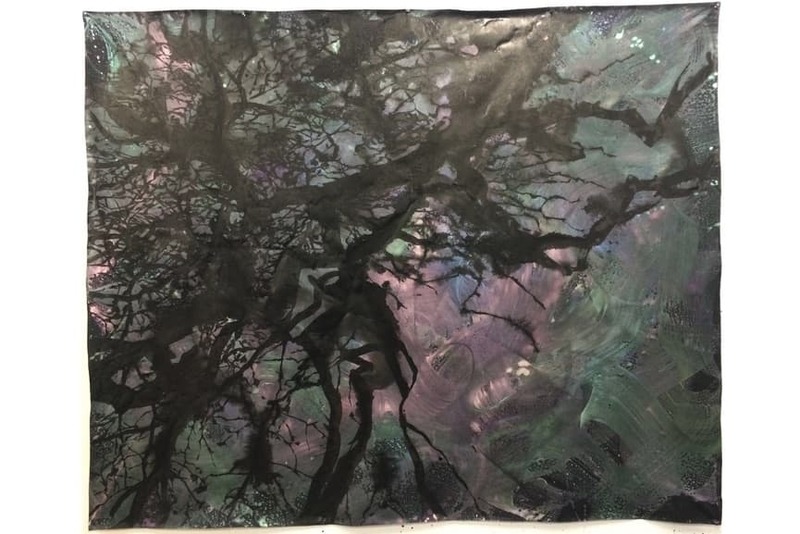 Abstract Art at Your Fingertips - In Our Marketplace! 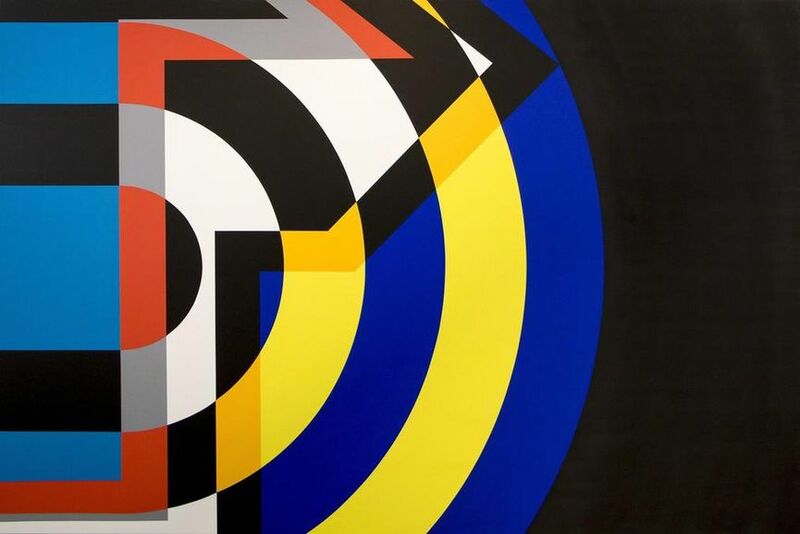 Pioneered by many forward-thinking painters and celebrated for its avant-garde aesthetic, abstract art represents a pivotal moment in the 20th-century art. Rejecting the rules of traditional art, abstraction placed emphasis on color, composition, and emotion. Decades after it emerged, abstract painting still feels fresh. Contemporary artists are pushing the limits of the genre, bringing approaches that are smart, engaging and visually arresting. 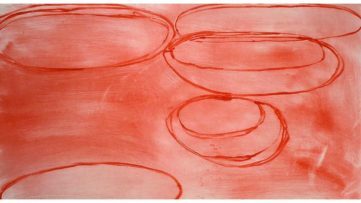 As the number of captivating contemporary abstract artists entering the market continues to increase, it can seem overwhelming to keep track of compelling work. 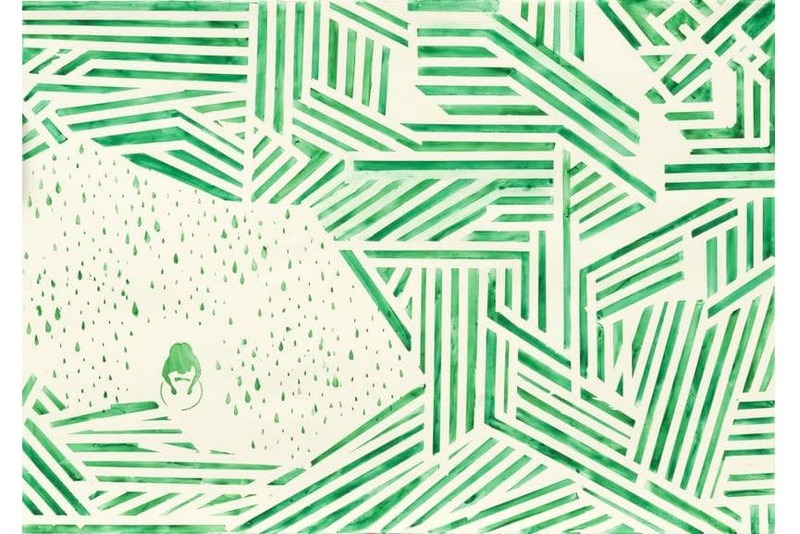 We bring you ten works of abstract art that you can own right now. Featured image: Jan Kaláb – Blue Heron (detail), 2016. All images courtesy of their respective galleries. Formerly known as Above, Tavar Zawacki is a Berlin-based street artist working in a multitude of different mediums. One of the main pioneers and influences in the development of the Street art movement in Paris, he is known for the style characterizes by the use of bold colors, geometric patterns, Op Art elements, and trompe l’oeil illusion, but also for the proliferation of an arrow icon as a symbol of his art. All of these elements that his style is known for come together in the work Sunset from 2017. 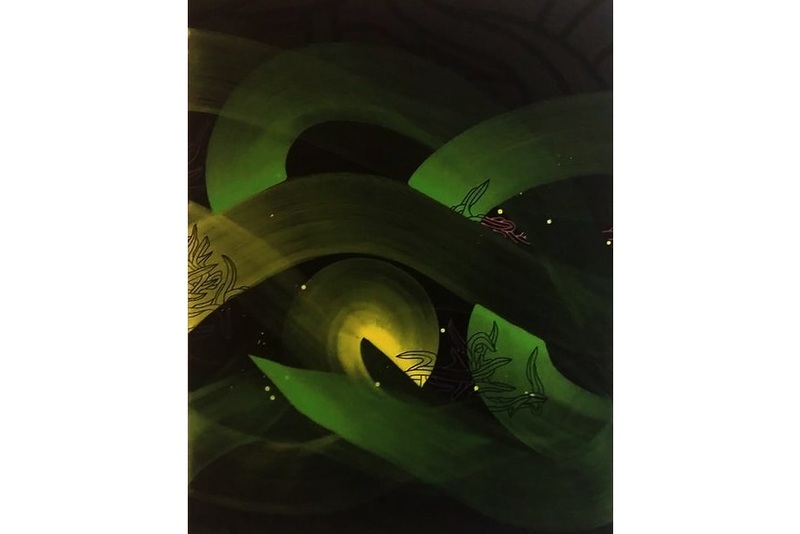 The work is the result of the metamorphosis the artist has gone through recently, breaking many barriers that blocked his true visual style to come forth and transitioning into newer areas of his creativity with a fearless attitude. Find more information about the work here. Each man carries a myriad of masks, learning to put the right one in a certain situation. In his works, the artist Wolfgang Grinschgl displays his many masks of personalities and emotions, averting attention to certain (un)existing qualities and never truly revealing himself. 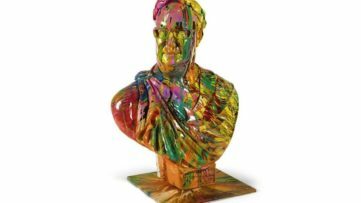 In this way, he explores the depths of character and fragmentation of identity. 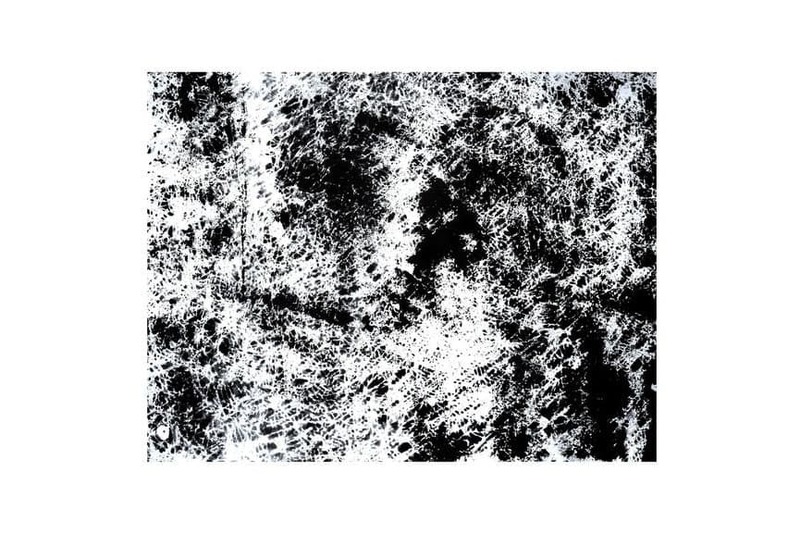 The work Schwertfisch belongs to the body of work where the artist combines images of faces with skyscapes. Through a variety of painterly means, his subjects are going through a multi-layered transformation process on the canvas. 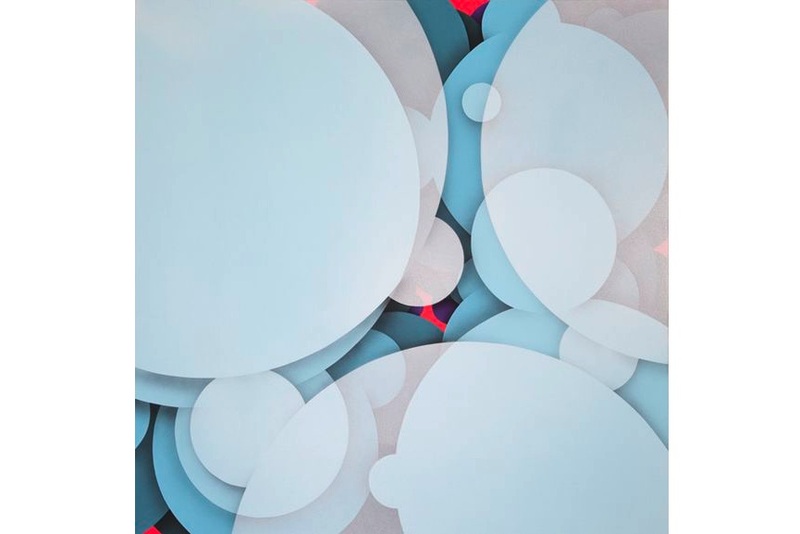 A New York-born and Brussels-based artist, Kool Koor is among the pivotal artists of the early New York urban scene, writing Graffiti on the subway trains and throughout the urban landscape of the city. His space-age-inspired works range from surreal scenes to intricate works of abstraction, making his style instantly recognizable. After all those years, the artist remains true to his style, as demonstrated in the work G1 from 2018. During a career that spans three decades, Christian von Sydow has created a unique body of work comprised of peculiar sculptures and installations characterized by abstract and rather purified forms. A bit mysterious, yet warm and atmospheric, his works reveal the urge to unveil the hidden and to establish the communication with the observers. 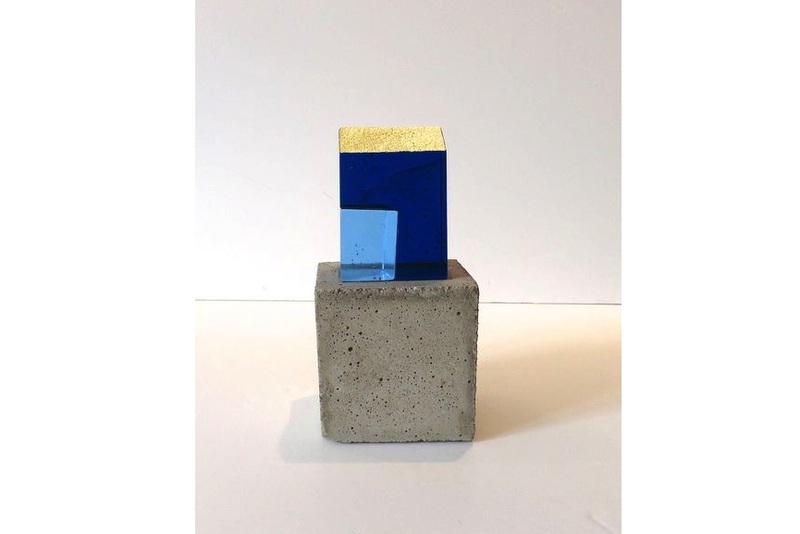 The sculpture Maison is characterized by a vibrant combination of blues and gold with the rawness of concrete. An engaging South African artist, Buhlebezwe Siwani combines performances, installation art and photography to convey delicate messages across to the viewers. In her works, she confronts the historical marks of patriarchal and western ideals of beauty, power, gender and spirituality. In this body of work, the artist provides a distinctly female perspective in an attempt to break, both physically and conceptually, from the loveless marriage with a colonial past and patriarchal present of South Africa. A street artist from the Netherlands, Niels Shoe Meulman has revolutionized the existing understanding of writing by combining traditional graffiti with calligraphy, creating a worldwide phenomenon called Calligraffiti. Visually unique, the style has made a great impact on the Urban Art community. He is constantly evolving and expanding his style, as it can be seen in the piece While You Were Sleeping. A Czech graffiti artist, Jan Kaláb is one of the pioneering artists in the country, when the society started opening to different influences. 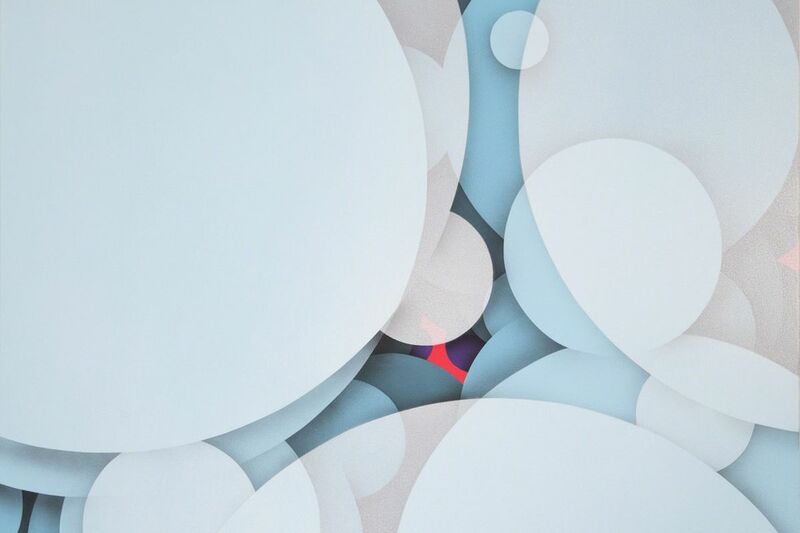 He explores abstraction in both painting and sculpture, reducing his expansive graffiti style to a concentrated, minimalist expression inspired by Piet Mondrian. Over time, his works become more geometrical. The work Blue Heron from 2016 is imbued with depth and motion. 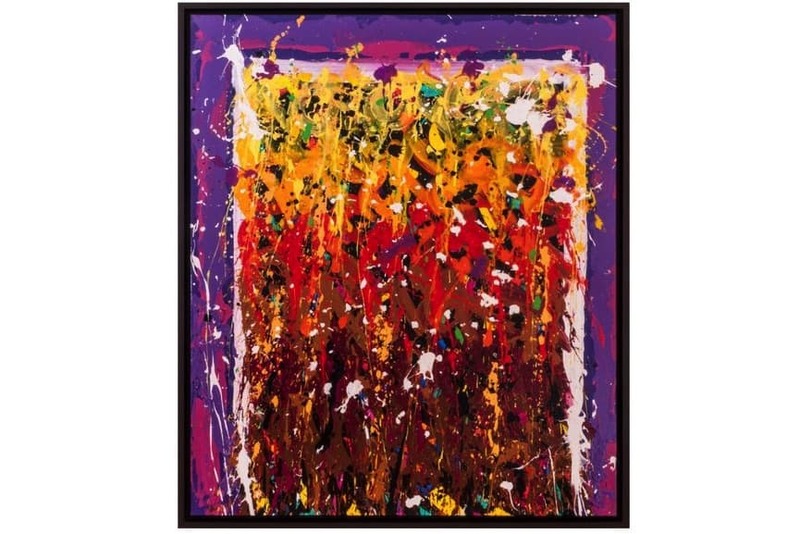 Best known for his Abstract Expressionist-style Graffiti, JonOne represents a new generation of contemporary artists who have moved beyond their roots as graffiti writers to establish themselves as painters. Drawing from the energy and freedom of painting in an urban landscape, he created a completely unique form of abstract expressionism, exhibiting an enormous sense of movement and color. Combining the style and attitude of Wildstyle graffiti lettering with the expressionist gestural application, Brutal Sports from 2017 is an excellent example of JonOne’s unique visual language. The work features layers of expressive dripping paint in a gradient of yellow to brown. Growing up and living on the Lower East Side of New York City, Richard Hamilton rose to prominence with his Shadowman works of the early 1980s. His pieces provide a refined insight into social and political shifts of the times. Despite disappearing from the spotlight in the mid-1980s, his works had a major influence on urban contemporary artists worldwide. 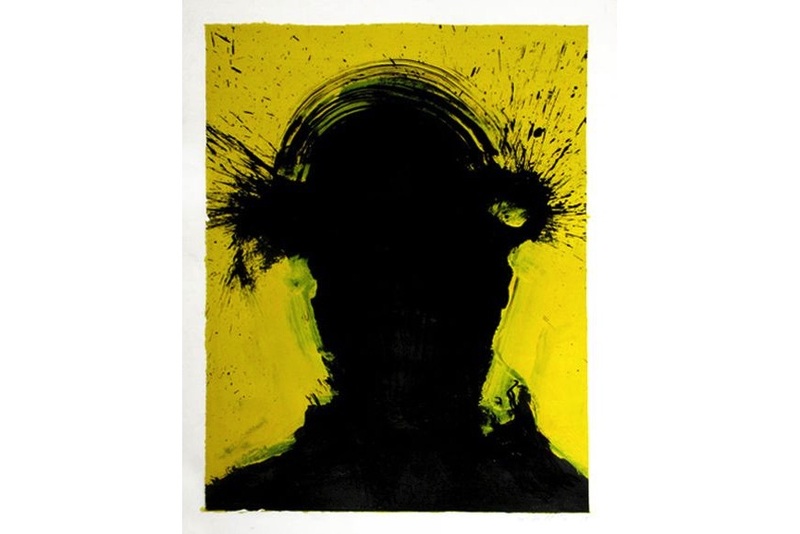 This work is part of his iconic Shadowman series that depict a dark silhouette of an unidentified male, void of any defining characteristics, on a monochromatic background. This imagery could have been seen all around New York, Paris, Rome and Berlin. A contemporary artist from Russia, Katharina Lehmann uses the unique Thread-Drip Painting technique to create her sculptural pieces. In her works, countless threads intersect and intertwine to form a network in an organic environment. 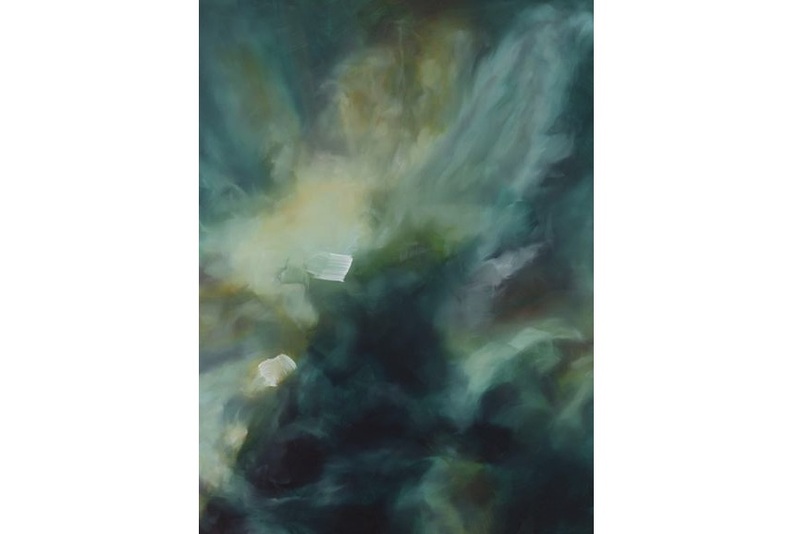 Her practice is characterized by creativity and technical craftsmanship. Depicting a chaos of tangled, layered threads, the work Reflections II from 2016 seems to transcend the two-dimensional nature of the canvas.